Welcome to Volume #9 of the Cell Tower Insider. Can cell towers make you sick? No, but cell tower leasing consultants and cell tower developers are doing a pretty good job as of late. We can’t really put the blame on the site acquisition consultants. They are just trying to earn a living like everyone else. I suppose it’s the cellular carriers who think that low-balling landlords with insultingly bad cell tower lease offers is starting to become fashionable and chic, even in major metropolitan areas. And the sad part is that they are almost ALL doing it, and giving wireless landlords “take it or leave it” offers. 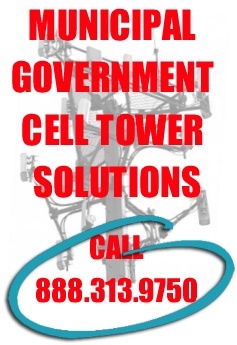 We recently had a property owner from the Midwest contact us to ask for assistance in making sure she wasn’t getting ripped of by the cell tower developer. Well… we’ve actually had about 10 calls like that in the past 3 weeks, but this one was particularly disturbing. The real estate leasing consultant told the landlord that she had to approve the lease, and that virtually no changes could be made, and that they were already filing for zoning (before the lease was even signed). We told the landlord not to worry, that the last time we checked, Fidel Castro was not building any cell towers in the United States. Cell tower lease negotiating is a cat and mouse game often times with the carriers and tower companies. They will usually try to “play” one site against the other. They know that if they get a property owner who is being difficult on terms, they can walk to one of your neighbors and get a quick lease signed for a bit less money while your attorney negotiates you out of the deal. We know that cellular carriers are giving their leasing representatives incentives and bigger bonuses to give landlords bad cell tower offers, and even uglier cell tower deals with lousy terms. My guess is that the driving force behind this are the price wars going on right now between the carriers. If you are contacted about putting a cell tower on your property, don’t fall for the carrier’s negotiating scare tactics. 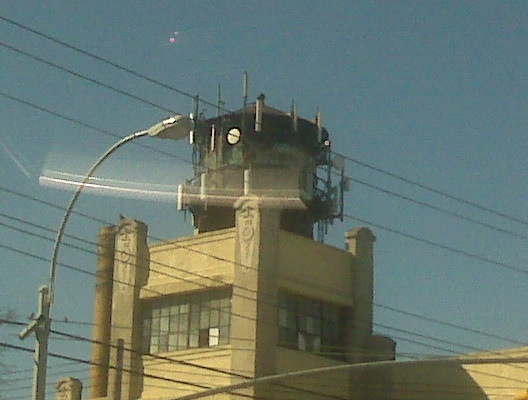 Besides getting an “ugly” cell tower on your property, you’ll get one that is paying you well below fair market value. Please call me if we can be of any assistance. Remember... Happiness is a 4-carrier cell tower in your parking lot. Have you subscribed to our PODCAST yet? It's free. Call Us. The Initial Consultation is Free. We are excited to announce that we now provide cell tower leasing assistance to landlords and property owners in Canada. Please follow the Canadian flag to our Canadian cell tower leasing page. We assist American property owners and landlords maximize their cell site lease values and get the best possible terms on lease agreements, extensions, 4G and LTE upgrades, amendments and lease buyouts with AT&T Wireless, Verizon Wireless, MetroPCS, T-Mobile, Sprint Nextel, US Cellular and Cricket.